Women and men throughout Medford, New York can experience pain relief once and for all at Pain Management of Long Island. 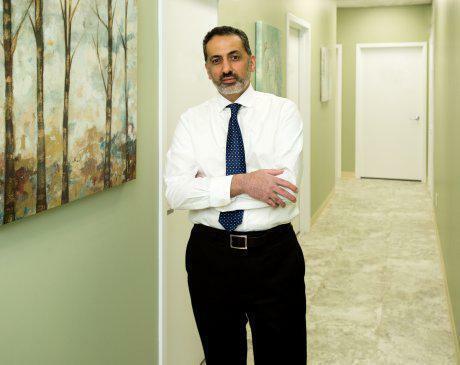 This clinic’s board-certified director, Mehran Golpariani, MD, has extensive training with modern, effective pain-relief techniques. Dr. Golpariani welcomes new patients to his practice. After earning his medical degree from Albert Einstein College of Medicine in the Bronx, New York, Dr. Golpariani went through his required residency training at the borough’s Montefiore Medical Center. Dr. Golpariani focused on anesthesiology throughout his residency. He then completed his fellowship in pain management at St. Luke’s–Roosevelt Hospital in Manhattan. Upon completion of his educational training, Dr. Golpariani immediately accepted a position as the attending and assistant professor of anesthesiology at Montefiore Medical Center in their pain management program. He was ultimately promoted to director of the pain management program, one of the first programs of its kind in the United States. Dr. Golpariani then completed additional training to become board certified through the American Board of Anesthesiology. Today, Dr. Golpariani runs a private practice in Long Island to continue caring for patients suffering from chronic pain. He’s affiliated with the Weiss Center for Pain Management at Mather Memorial Hospital and St. Charles Hospital in Port Jefferson, New York. Pain Management of Long Island accepts all PPO policies. To see a list of commonly accepted insurances, click on "View full list of companies". This list is not entirely inclusive of all plans we accept. For specific insurance plan inquiries, please contact our office.